Kent Relocation Services is pleased to announce that it has won TheMIGroup’s 2016 ‘Asia Pacific Relocation Service Partner of the Year’ Award, at their Worldwide Partner Network® Awards. The Relocation Service Partner of the Year Award is awarded to the company that consistently demonstrates a desire to exceed client expectations, and provides superior quality service levels. 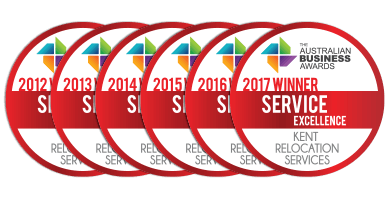 “This award is well-deserved third-party validation of our team’s ability to deliver a seamless stress-free relocation experience, exceptional performance standards, and a customer satisfaction index above 95%,” said Lisa. This is the second time that Kent has received an award from The MIGroup. Last year, Kent won TheMIGroup’s 2015 ‘Spirit of Partnership’ Award, and Lisa Fink won the ‘Individual Excellence in Partnership’ Award. TheMIGroup Worldwide Partner Network® Awards are based on a set of evaluation criteria designed to quantify their partners’ quality service performance. The Awards recognise the achievements and outstanding service delivery excellence of TheMIGroup’s network providers over the previous year, and are a benchmark for excellence in the global relocation industry. The TheMIGroup’s sixth annual Worldwide Partner Network® Awards were presented in Warsaw on 26 April, at the EuRA International Relocation Congress.